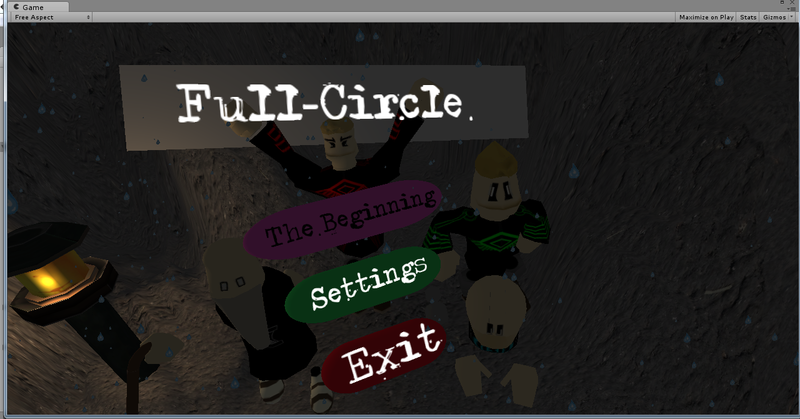 Full-Circle is a game about living your life out in an abstract dream in little over a minute cycle. Starting as an infant, progressing to a young child, man, and old man, you must solve puzzles to reach the end of the level. Once you reach the end of the level you start back at the beginning with everything you previously did in order to solve the puzzle again as a recursive dream/life cycle. Download the .exe for Windows. Download the Webplayer.zip to play online in your browser. Full-Circle.zip is what we had finished. We hope to finish the game eventually. I bet that Adult there in back could do one hell of a cart-wheel!